We received planning permission in November 2018 for the £150m Winter Gardens mixed-use scheme at the former Winter Gardens site. 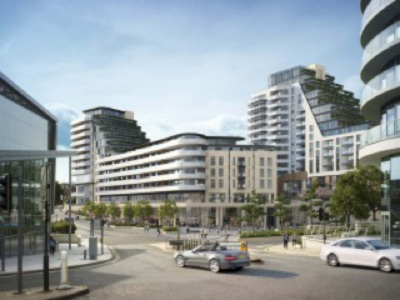 Work is expected to start on site in 2020, and this will be one of the largest development projects ever undertaken on a single site on the South Coast through a corporate public-private partnership. 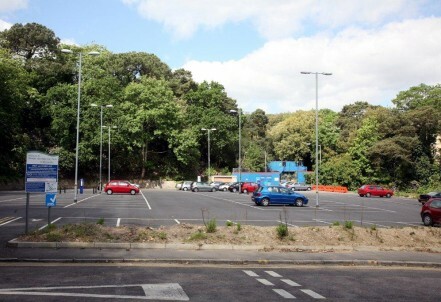 There will be a complete transformation of the 1.98 hectare (4.89 acre) site, used as a car park since the demolition of the concert hall in 2006, following its closure four years earlier. Create a vast amount of high-quality homes involving one, two and three-bed apartments and a number of penthouses. Most will have balconies or terraces with extensive views of the sea, coastline and conurbation. Preserve and improve upon the number of public parking spaces that are currently available on the Winter Gardens site. Create numerous secure, covered cycle facilities for residents and visitors, as well as spaces for the public. Introduce new units for high-quality restaurants along Exeter Road, and a new food store, helping to raise and diversify the choice of dining experiences in the area, enliven the streetscape and contribute to the local economy. Build space for family leisure facilities, which will include a new piazza at the junction of Exeter and Cranborne Road, a linear park alongside Cranborne Road and other publicly accessible open spaces with opportunities for outdoor cafés and children’s play areas. Make space for a widened area of landscaped pedestrian realm along Exeter Road, which will help to deliver an important part of the Grand Garden Walk, an initiative to provide a continuous promenade for pedestrians and cyclists around the town centre. Winter Gardens will be a transformative scheme for the town centre, and will deliver significant regeneration on an iconic site, and provide a real boost for the town centre and wider local economy.